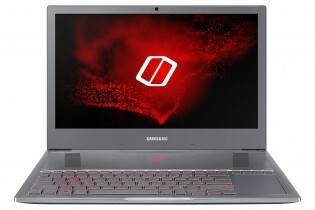 Samsung occasionally dabbles in gaming laptops and here’s the latest one – the Samsung Odyssey Z. It’s fairly thin and light for a gaming laptop, but will run cool thanks to Z AeroFlow cooling system with a Z Blade Blower. 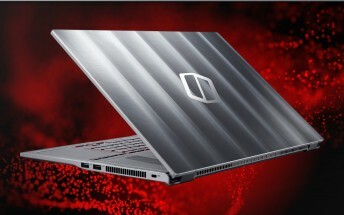 This is a 15.6” laptop (1080p screen) with a 6-core Intel Core i7 (8th gen) and an Nvidia GeForce GTX 1060. 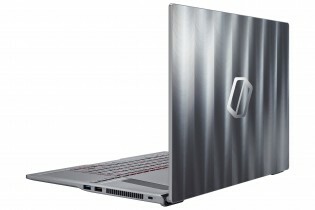 The laptop can be configured with up to 16 GB of DDR4 RAM and up to 1TB NVMe SSD, the GPU has 6 GB of GDDR5 memory. 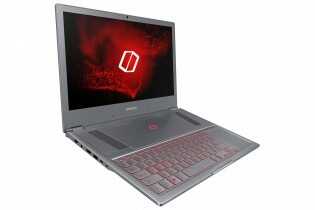 The one thing stopping most gaming laptops from being thin and light is the bulk of the cooling solutions they require. To make the Odyssey Z only 17.9mm thick and weighing 2.4 kg, Samsung built a “Dynamic Spread Vapor Chamber” that covers both the CPU and GPU. Two “Z Blade” blower fans keep the heat away from both the top and bottom of the laptop. However, all of this squished the keyboard and trackpad together. Not that anyone would game on a trackpad. Anyway, laptop comes with a 54 Wh battery that probably won't last long in gaming mode. Good thing that a 180 W adapter is included in the box. Additional specs include stereo 1.5 W speakers, a backlit keyboard with crater keycaps and enough USB ports to hook up a VR headset. There’s a shortcut to start recording gameplay and another to trigger Silent mode, which brings fan noise to 22 dB. 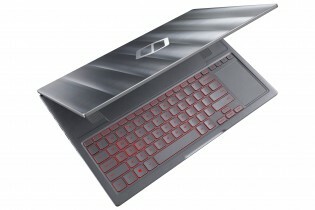 The Odyssey Z will be available in select countries including Korea and China in April and will launch in the US in Q3. No mention of price or a European launch.